Recently on the Change blog, we debuted our new company credo: Make It Happen. It's a mantra that guides us while we work to build a better point of sale for our customers. Although “Make It Happen” is the main idea behind our credo, it is supported by five additional elements: Make It Count, Make Mistakes, Make It Human, Make It Fun, and Make It Together. This week, we’re going to break down “Make It Count” and discuss what it means to our team. For a small startup like ours, "Make It Count" means getting the most out of every action you do. We can’t afford to be conservative and lazy. If you’re going to build something, build it right so we don’t need to rebuild it later on. When meeting new people, learn something about them and find ways to connect. They could turn into your biggest advocate someday. Never dismiss how a simple phone call, email, or conversation can lead to bigger things later on. 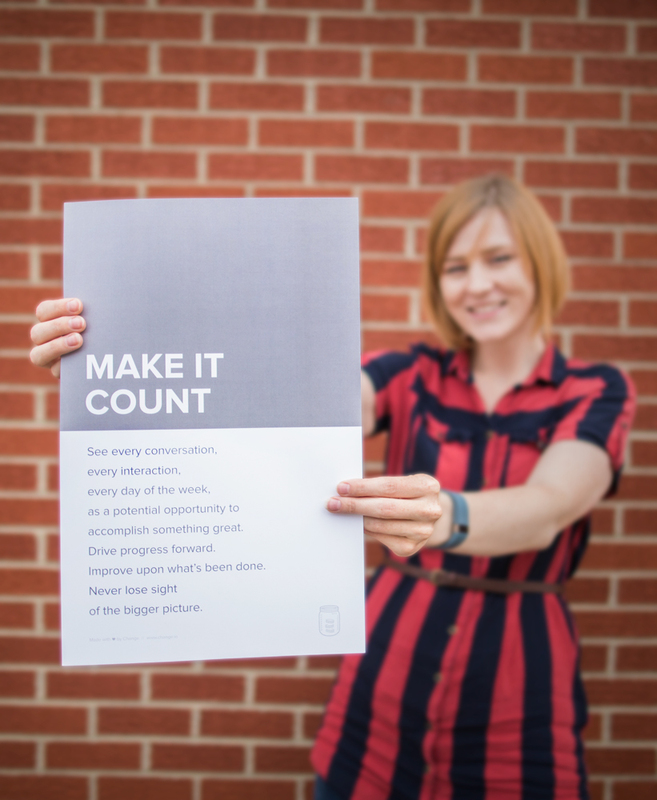 For designer Amanda Morrow, “Make it Count” is a direct reflection of the Change team. You can read our entire credo on the Change About page. To learn more about why we created the Change Credo, read the first post in this series: Make It Happen: The Credo That Guides Change. Stay tuned next week as we explore and discuss another element of our credo: "Make Mistakes."